Whenever we decide it’s time to get a renovation completed within the home, there is always that worry of finding the right Builder for the job, in this week’s article our team are discussing the 5 signs of a Cowboy Builder, and how you can prevent falling into their trap. How to Spot a Cowboy Builder? There are many obvious signs as to knowing whether a specific building company is certified to portray their following services, however there are some ‘experts’ out there who are very manipulative and conjuring, when disguising the fact that they are a Cowboy Builder, we have come up with our 5 top signs below on how you can spot one for yourself. One way in which you can tell whether you are dealing with a Cowboy Builder, is to sense whether they are offering you surprisingly cheaper quotations, compared to other Builders in Milton Keynes. If you find that the prices they are offering, simply do not match up. Chances are, they don’t. We suggest you don’t settle for the cheapest price. You may find that a specific Contractor may decide not to offer a quotation before the Home Renovation in Milton Keynes. Even if you ask them and they still refuse, this could be due to the fact they are willing to fob you off, right at the end when the construction service is complete. 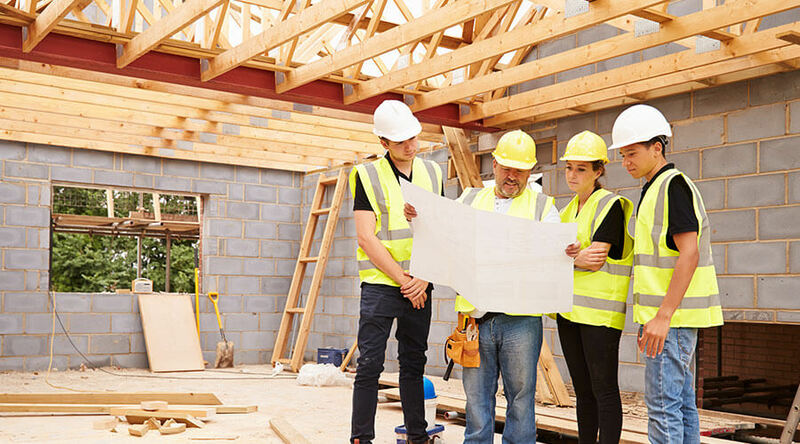 Most Builders will be willing to disclose information, and provide certified documents about their qualifications and work to help their case in being legit Builders. If you notice they do not give you any information about themselves, chances are they don’t want to because they do not hold any legal rights to provide their services. One of the main factors you should look out for, is whether the company is offering you a legal contract to sing before the Renovation begins. If they do not offer you one that means that they believe they have the right to offer whatever they like. Alternatively, if they do decide to offer you a contract, we suggest you reading the whole booklet twice, get a good understanding in what is about to happen and what the company is willing to charge you. This is a big no, no! We advise you definitely do not provide them with an upfront payment before they get started with any of the construction work. They can easily provide you with a half-finished job and you will never see them again, ask for a contract and settle the payment after the work has been completed. How you can stop this from Happening? There are numerous ways in which you can prevent a situation like this from occurring. At Clarkson Builders, we have gained expert experience for many years, and have had many customers talk to us about their bad experiences with past Building companies. As a team, we would highly recommend you look into researching local companies near you. A good thing to do visit a Builders comparison site, read reviews and ask family and friends if they know any reliable contractors within your local area. We hope this week’s article has been helpful and insightful in knowing how to spot a Cowboy Builder within your local area. If you have any questions regarding our services, feel free to get in contact today! How to Build Your New Home?